At any given restaurant, you’ll find technology being used in every aspect throughout the business. This technology is constantly adapting to make your business run more efficiently, increase your bottom line, and provide your customers with a greater experience than ever before. However, with all of this technology at our disposal, many modern restaurants are still operating under archaic practices of paper files and static spreadsheets to manage their Food Safety and Quality needs. 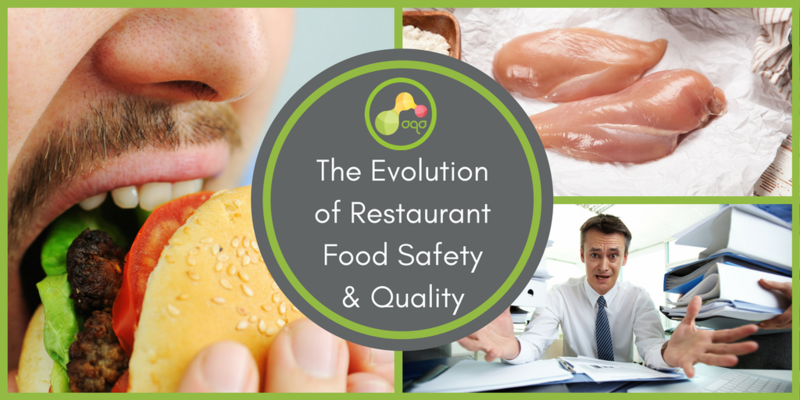 In the era of modern technology, many restaurants are leaving their Food Safety and Quality management behind. The most important aspect of a restaurant, its food safety, is often overlooked until an incident occurs, by which point, it is too late. Fortunately, we have the technology to streamline and digitize your Food Safety and Quality practices, which will protect your brand while further increasing your bottom line. Please contact us to schedule a demo and learn how AQA can bring your Food Safety and Quality practices to 2017.